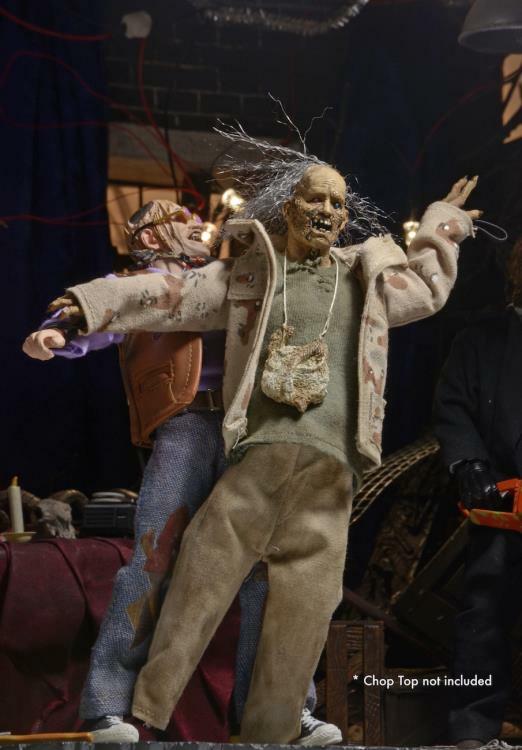 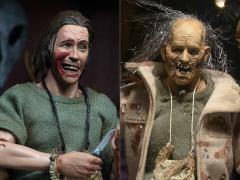 This first appearance of The Hitchhiker from Texas Chainsaw Massacre in the clothed action figure line celebrates the character's circle of "life"! 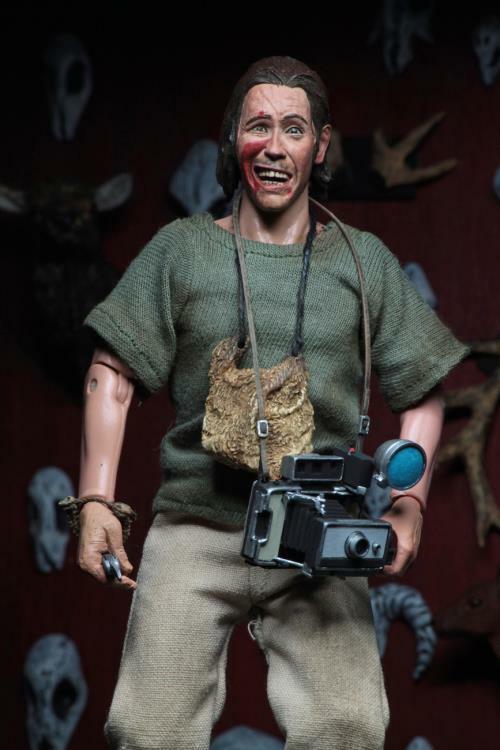 The Hitchhiker (aka Leatherface's brother Nubbins) first appears in the 1974 film, where he meets a gory end. 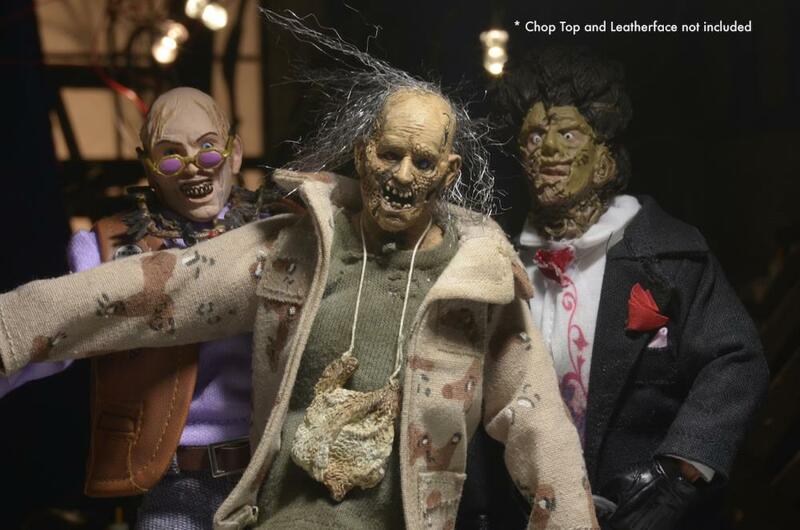 However, his mortal remains return in the second movie as a puppet-like pal carried around by Leatherface's other brother, Chop Top. This collector's set includes both versions of the character and plenty of accessories. 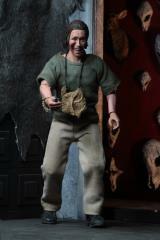 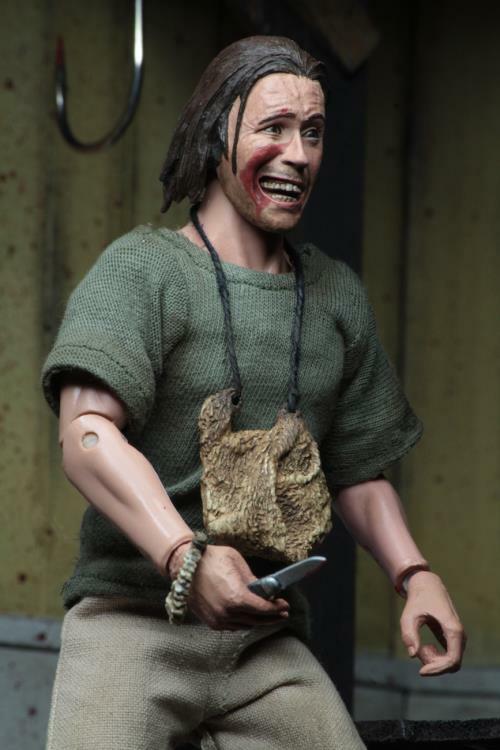 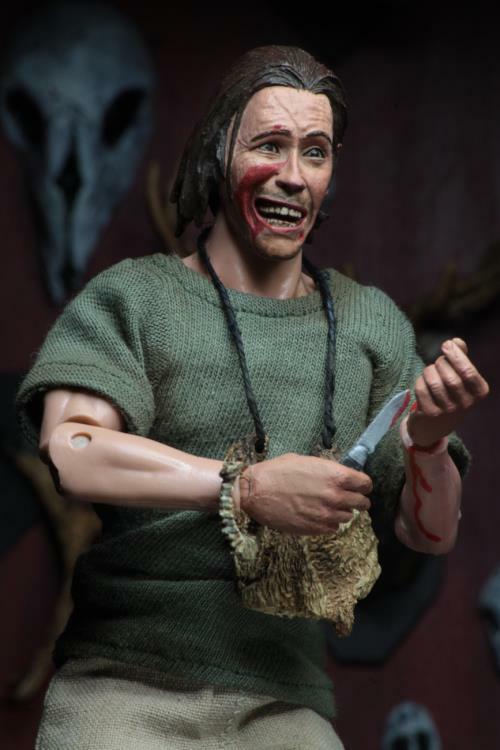 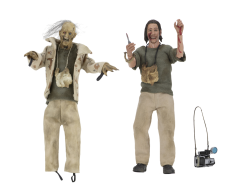 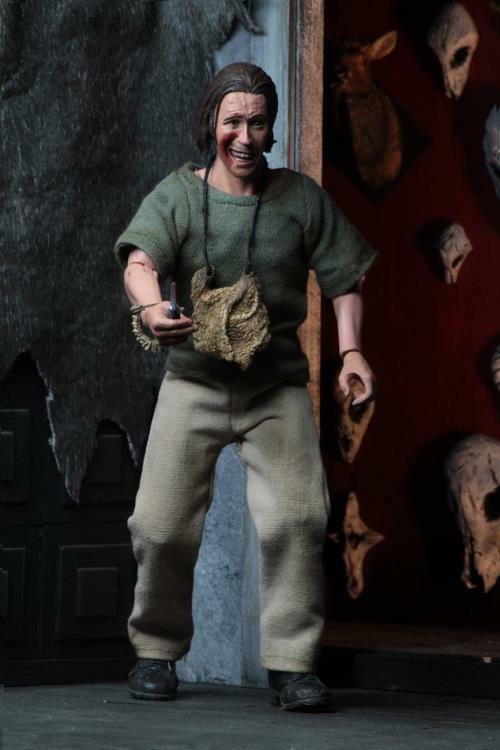 The Hitchhiker is fully articulated and comes with pelt, knife and camera accessories. Dead Nubbins has a bendable wire armature for posing and loops that allow your other TCM figures to "puppet" him. He has synthetic hair and comes with a stand. 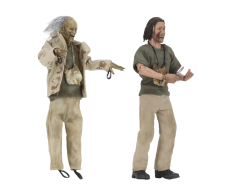 Figures are approximately 8" tall and come in window box packaging.